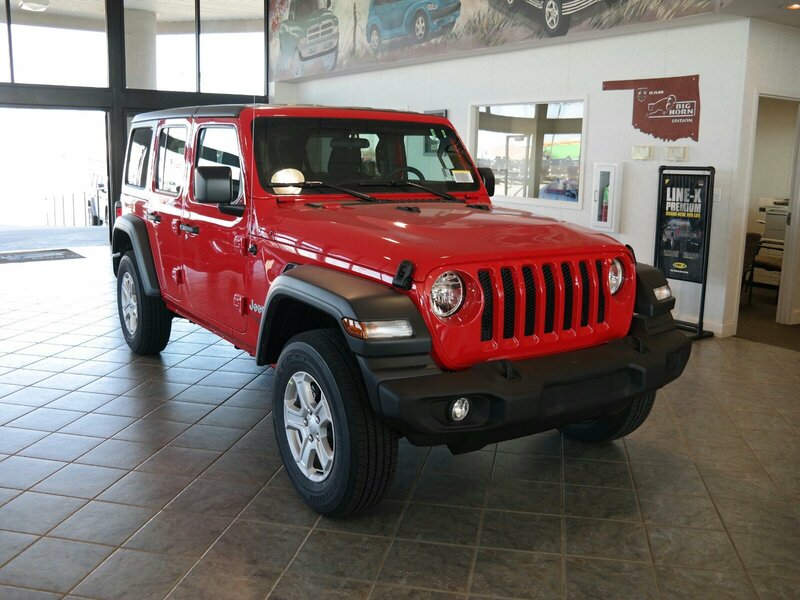 Delivers 24 Highway MPG and 22 City MPG! 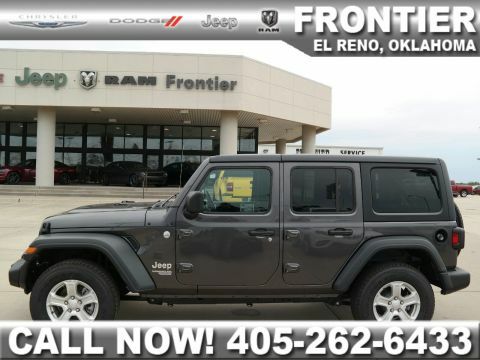 This Jeep Wrangler Unlimited boasts a Intercooled Turbo Premium Unleaded I-4 2.0 L engine powering this Automatic transmission. 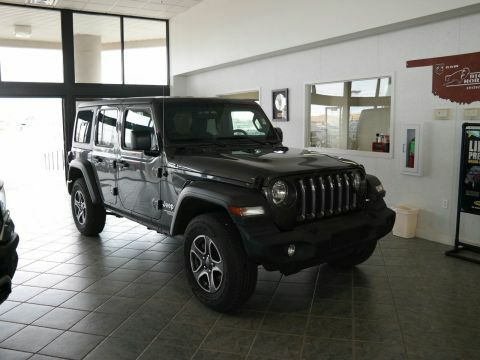 WHEELS: 17 X 7.5 TECH SILVER ALUMINUM (STD), TRANSMISSION: 8-SPEED AUTOMATIC (850RE) -inc: Dana M200 Rear Axle, Hill Descent Control, Tip Start, TIRES: 245/75R17 ALL-SEASON -inc: Bridgestone Brand Tires. 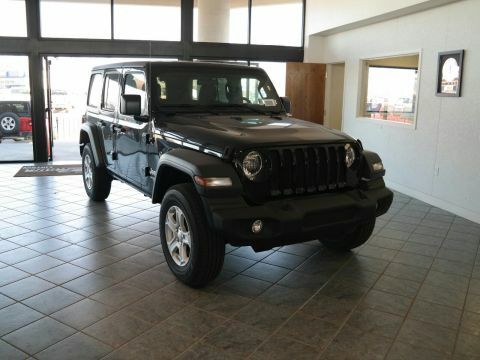 * This Jeep Wrangler Unlimited Features the Following Options *QUICK ORDER PACKAGE 28S SPORT S -inc: Engine: 2.0L I4 DOHC DI Turbo eTorque, Transmission: 8-Speed Automatic (850RE), Front 1-Touch Down Power Windows, Remote Keyless Entry, Speed Sensitive Power Locks, Leather Wrapped Steering Wheel, Power Heated Mirrors, Automatic Headlamps, Sun Visors w/Illuminated Vanity Mirrors, Security Alarm , SIRIUSXM SATELLITE RADIO -inc: For More Info, Call 800-643-2112, 1-Yr SIRIUSXM Radio Service, RADIO: UCONNECT 4 W/7 DISPLAY, MOPAR ALL-WEATHER FLOOR MATS, GVWR: 5,400 LBS, FIRECRACKER RED CLEARCOAT, ENGINE: 2.0L I4 DOHC DI TURBO ETORQUE -inc: 600 Amp Maintenance Free Battery, GVWR: 5,400 lbs, Delete Alternator, 48V Belt Starter Generator, BLACK, CLOTH LOW-BACK BUCKET SEATS, BLACK 3-PIECE HARD TOP -inc: Rear Window Defroster, Freedom Panel Storage Bag, Rear Window Wiper/Washer, No Soft Top, 7 RADIO GROUP -inc: USB Host Flip, Google Android Auto, Air Conditioning w/Auto Temp Control, Radio: Uconnect 4 w/7 Display, 7.0 Touchscreen Display, GPS Antenna Input, Air Filtering, Cluster 7.0 TFT Color Display, Apple CarPlay, Integrated Center Stack Radio, SiriusXM Satellite Radio, For More Info, Call 800-643-2112, 1-Yr SiriusXM Radio Service. 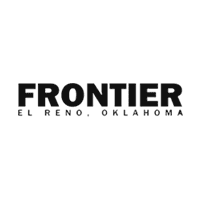 * Stop By Today *Stop by Frontier Chrysler Dodge Jeep located at 1700 E US HIGHWAY 66, El Reno, OK 73036 for a quick visit and a great vehicle!